Keys, wallet, cell phone...ready to go! Cell phones have become ubiquitous fixtures of 21st century life--suctioned to our ears and stuck in our pockets. Yet, we've all heard whispers that these essential little devices give you brain cancer. Could it be true? In 2011, the World Health Organization shocked the international community by confirming that the radiation from cell phones is a possible carcinogen to humans. Many of us are left wondering, as Maureen Dowd asked in the New York Times, are cells the new cigarettes? Dr. Martin Blank notes that while the presumption of innocence is invaluable to the system of justice, it does not make sense as a public health standard. 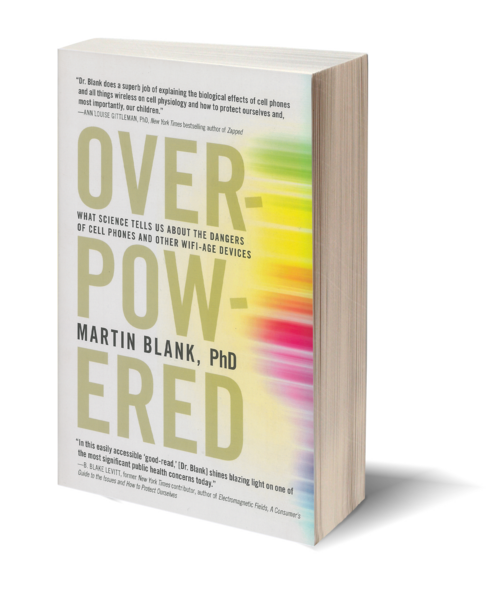 Overpowered brings readers, in accessible and fascinating prose, through the science, indicating biological effects resulting from low, non-thermal levels of non-ionizing electromagnetic radiation (levels considered safe by regulatory agencies). Radiation that comes not only from cell phones, but many other devices we use in our homes and offices every day. It is generally accepted that there should be a limit on exposure of the public to EMF. However, industry pushes the envelope. Dr. Blank advises applying the precautionary principle when it comes to demonstrably hazardous EMF--and teaches us how we can take steps in our daily lives to reduce exposures. In this incredibly timely book, he arms us with the information we need to keep ourselves and our families safe. – B. Blake Levitt, former New York Times contributor, Author of Electromagnetic Fields, A Consumer’s Guide to the Issues and How to Protect Ourselves and editor of Cell Towers, Wireless Convenience? Or Environmental Hazard? 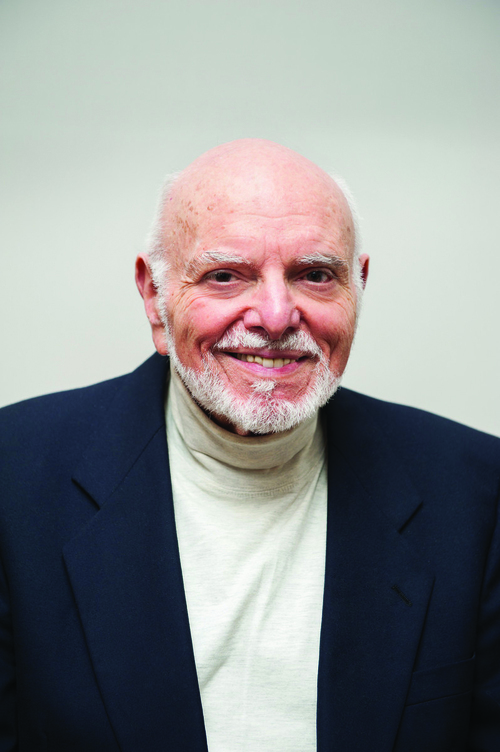 Dr. Martin Blank was an expert on the health-related effects of electromagnetic fields. He earned his first PhD from Columbia University in physical chemistry and his second from the University of Cambridge in colloid science. From 1968 to 2011, he taught as an associate professor at Columbia University, where he later acted as a special lecturer. Dr. Blank served as an invited expert regarding EMF safety for Canadian Parliament, for the House Committee on Natural Resources and Energy (HNRE) in Vermont, and for Brazil’s Supreme Federal Court. He died in 2018.